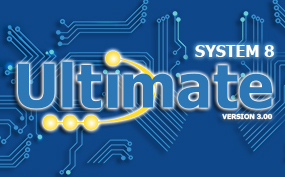 ABI realeases the new SYSTEM 8 Ultimate 3.00 software. Inclusion of the NEW SYSTEM 8 MIS 4 instruments. Improvements to Help text and manual. RevEng and MIS4 sections now available. All languages are now at the same version. Issue with AMS voltage detection now fixed. Wider range of clips sizes and channels added to AMS.